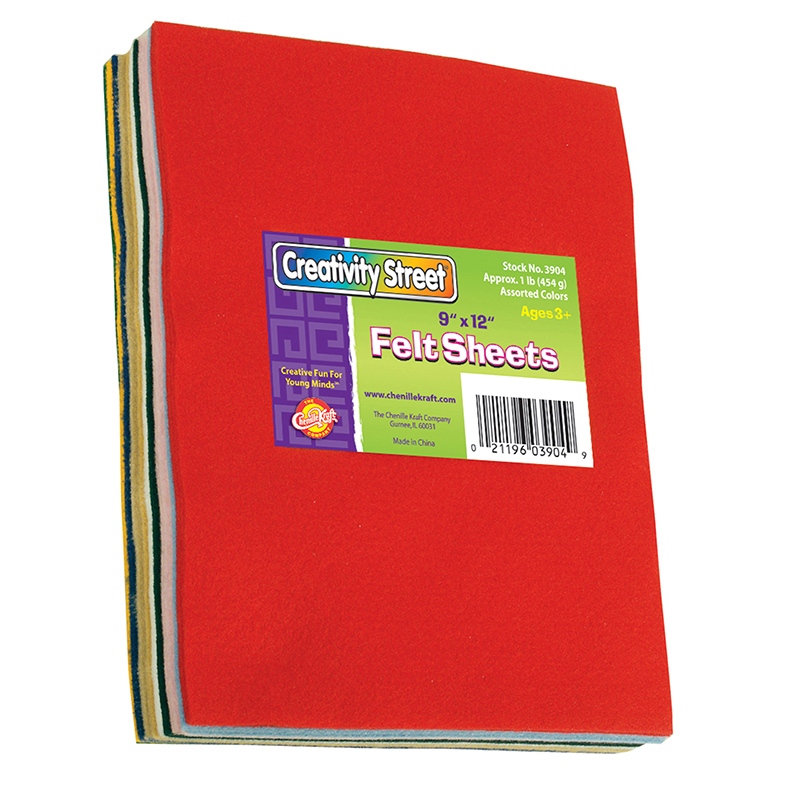 Each pack of Creativity Street Felt Sheets includes approximately one pound, or over 40 sheets, of 9" x 12" felt sheets in assorted colors. Colors include: White, Black, Yellow, Red, Dark Green, Royal Blue and Pink. Bundle includes 2 packs for a total of approximately 2 pounds and 80 sheets of felt. 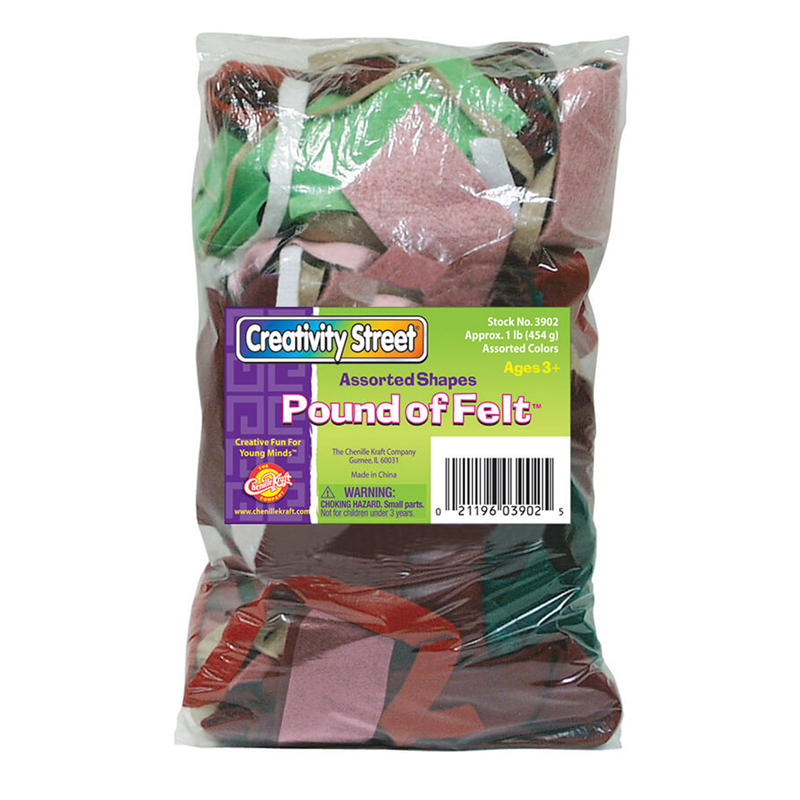 The (2 Pk) Felt Sheets can be found in our Felt product category within the Arts & Crafts.